This book is another one about Palestinians in Israel. However, although the topic and main events are the same as in “Mornings in Jenin” or “The Lemon Tree”, then it’s been served differently. It is sad, but also really funny, because of the main character – Saeed, who is one of the family of Pessoptimists, as he describes, already his mother was one and some before I believe as well, their views of life could maybe be shortly described in this sentence: “It is better to die in some ways and not in others”. I think this would be a good introductory reading to someone interested in the Palestine-Israel question, it’s not too long, the writing is clear and concise and funny, it almost seems as if no-one even dies in this book, which is a great surprise… though maybe I just missed it. It’s got the standard content though, for a novel on this topic – spending time in a prison, in hiding, trying to get to Israel. But there’s one more theme – being an informer for Israel. It was okay, but I’ve liked some other books on this topic better. 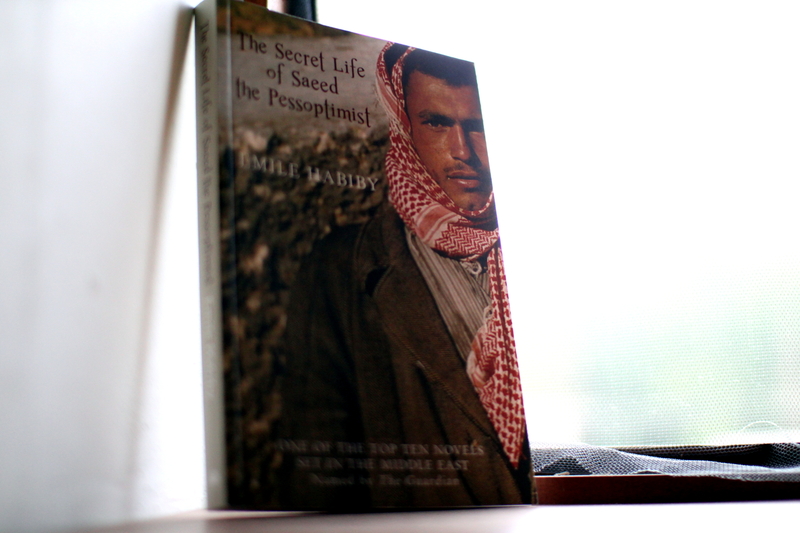 This entry was posted in Fiction and tagged Emile Habiby, The Secret Life of Saeed the Pessoptimist. Bookmark the permalink.